There are so many different choices when it comes to cloth nappies, and choosing the right ones for you and your baby can be a difficult decision. The last thing that you want to do is make a huge purchase just to find out that it doesn’t work. Our modern cloth nappy trial pack makes it easy for you, giving you the chance to try out different styles before you purchase a full set. At Nappy needz we have over eight years experience with cloth nappies, and we know what works well, and what doesn’t. Our modern cloth nappy trial pack helps you to make the right decision, by giving you some different cloth nappies to try. 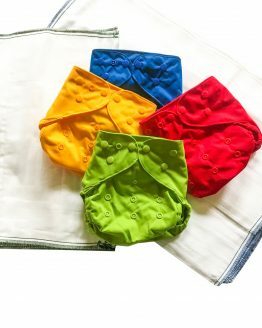 Each pack come with a one size fits most dinky pocket nappy, an ecobots nappy cover, three cotton prefold nappies nappies and a guide to using and caring for your cloth nappies. 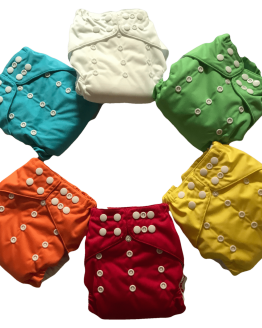 With great examples of different cloth nappy styles our trial pack means you can really find what suits you. 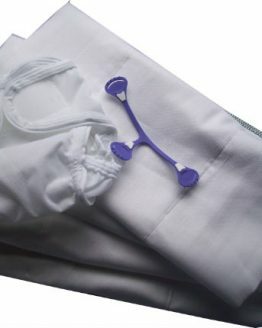 Prefold nappies are one of the most popular cloth nappy types on the market. Our Ecobots nappies and cover is a great example of this style, with a velcro closure cover that features double gussets to help contain mess and reduce the chance of leaks. Our dinky OSFM nappy is a pocket nappy, with bamboo and microfibre insert, with lots of great features that make it a reliable choice, and a fantastic example of a pocket nappy style. The modern cloth nappy trial pack also gives you chance to try a sized cloth nappy system (Ecobots) and a one size fits most system (dinky). 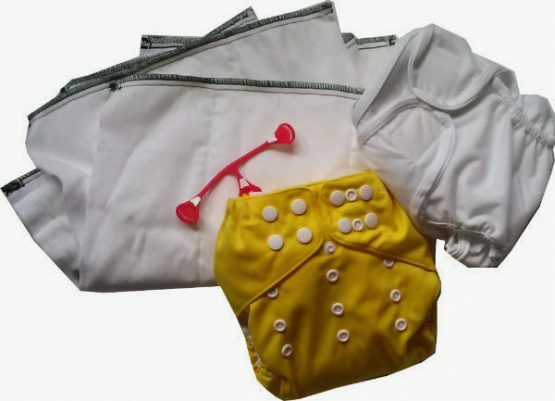 Our dinky nappy is a one size fits most and will fit from birth to toilet training. Ecobots by contrast are sized, and you will need to choose a size suitable for your baby (newborn 2.5-4.5kg, small 4.5 – 6 kg, Medium 6-11.5kg and large 11-16kg). Please let me know in comments,which size you would prefer. Also, if you have a colour preference for the dinky nappy, or prefer a pul rather than minky outer, again please let me know. 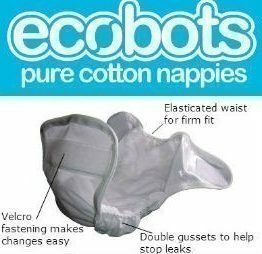 Three ecobots cotton prefold nappies.